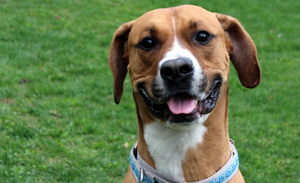 Solvable behavior problems are the number one reason why dogs are surrendered to shelters. To foster strong human-canine relationships and ensure that more dogs have forever homes, Family Dog School at Berkshire Humane Society (BHS) offers a variety of training opportunities, including group classes, behavioral consultations, and private lessons, for dogs of all ages, breeds, and skill levels. Our mission at Family Dog School is to build a loving, respectful relationship between dogs and their owners and teach better awareness of dogs’ natural communication through play and positive reinforcement training. We understand that every dog is an individual, and we’ll work with you to tailor the training to meet their temperament and your needs. Our Faculty at Family Dog School has extensive experience training and caring for dogs…and they love dogs! Because they believe in the importance of continuing education, they regularly attend workshops, clinics, and conferences to stay current on science-based training. Family Dog School offers safe, clean, and comfortable facilities for you and your dog. Measuring 30’ by 70’, our state of the art indoor training room features a matted floor, a climate controlled environment, seating, and equipment for all different classes, including agility, nose work, and tricks. For outdoor work, our fenced-in training pen is spacious and always carefully groomed. To guarantee that Family Dog School students receive personal attention, each class has a maximum of eight dogs and is taught by two instructors. And to help with your training needs, Family Dog School also sells a variety of collars and harnesses, healthy treats, and enrichment toys. All advice is free. Remember…enrolling in Family Dog School not only benefits you and your dogs but also supports the work and mission of BHS!